Welcome to the Washington Virtual ARTCC website. 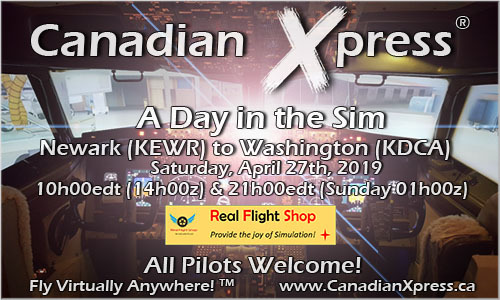 This website is for a group of online hobbyists who partake in simulated flying and air traffic control on the VATSIM network. The Virtual Washington ARTCC is the virtual representation of the real world Washington Center. Home of the first flight and the oldest continuously operating airport in the world, the airspace controlled by the Washington ARTCC is rich in history. With three major airports within 30 miles of the nation's capital, ZDC controllers handle some of the most complex airspace in the country. From the Carolinas up to New Jersey, including the busy arrival streams from the southeast into the three New York airports and Philadelphia, overflights to and from Boston, and the equally busy traffic flows to Atlanta, there is always something interesting going on at the Washington ARTCC. 03/27/2019 - IAD - Gates in Use is now live! 03/14/2019 - New S2: Chris Priest! 1/25/2019 - New ZDC - ZJX Letter of Agreement! 01/13/2019 - New WEBSITE LAUNCH!